Popular domain research tool, DomainTools, is introducing a hands-free version of its domain WHOIS tool, and what a great timing that is. Millions of domainers will be on the road for the July 4th weekend, and naturally, many will be also researching domain names. Safety should come first, all while on the look for the latest keyword trends in domain names. “We want to minimize the potential of any accidents happening, and we are introducing DomainTools Hands Free(tm),” said DomainTools VP of Technology, Douglas Whosier. “Naturally, we still recommend that you keep both hands on the wheel, whether you drive a high-tech Tesla or a Yugo. Our Hands Free(tm) WHOIS domain tool will take care of your domain research needs while on the road, just whisper the keyword!” added Whosier. Thousands of domain investors are part time domainers, commuting daily to their 9-5 cubicle jobs, all while faithfully using DomainTools for domain availability, on the road. 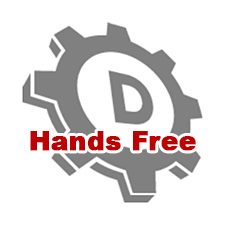 The introduction of DomainTools Hands Free(tm) will ensure 100% safe use of a car manufacturer’s recommended driving procedure, as taught at driving schools worldwide: keep both hands on the wheel, and both eyes on the road. Upgrading to DomainTools Hands Free(tm) from a standard account will cost an one-time fee of $29.99. That’s a pittance for a lifetime of savings, and the saving of a lifetime. If you can’t wait to look up a domain name, pull over to the side of the road. Or use DomainTools Hands Free(tm).